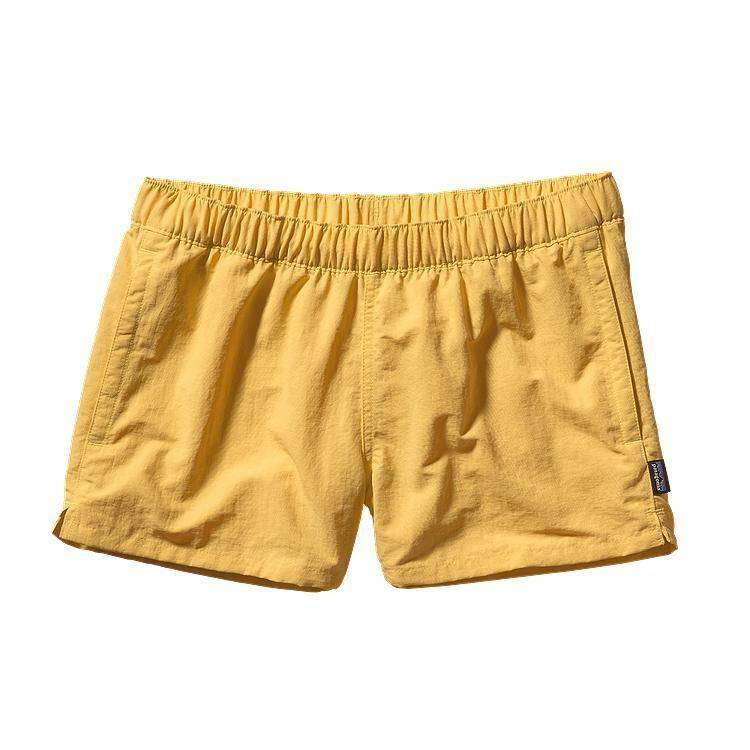 Barely Baggies™ Shorts have a lower rise and shorter inseam than the originals but are made of the same Supplex® nylon with a DWR (durable water repellent) finish; 2½" inseam. The water-loving Barely Baggies™ Shorts don’t care if it’s Sundown Falls or Surfer’s Point, as long as they’re submerged. These shorts are made of our classic Baggies fabric: Supplex® nylon with a DWR (durable water repellent) finish that shakes off water like a Labrador. 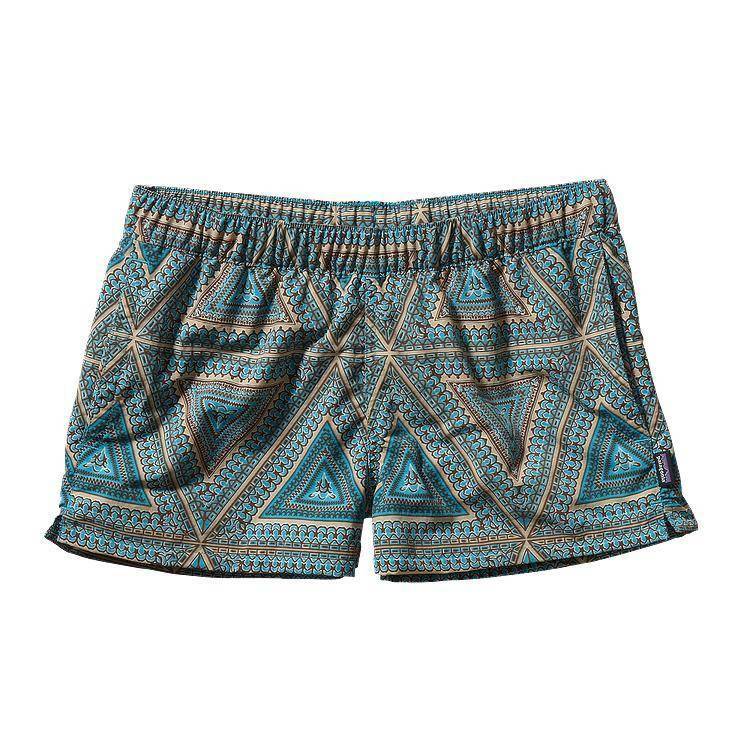 Covered elastic waistband with inner drawcord keeps shorts secure during sand poundings. Side-entry pockets with polyester mesh for drainage; side slits increase mobility. A 2½" inseam lends a youthful silhouette.